A few weeks ago, I teamed up with Cherrytree Records to start producing some really cool video content to cover exciting new pop alternative music. We are premiering the very first results of our effort this week on the Cherrytree Records web site. The first web show we are debuting is the "Cherrytree Pop Chop Minute with Arjan Writes," a really fun and really fast series of video interviews that are each no longer than one minute (you'll be surprised though to see how much information you can put into one minute with a clever edit.) It all starts tomorrow at 12 noon PST on CherrytreeRecords.com. Artists featured on the Pop Chop Minute this week are Gossip Girl's Taylor Momsen of The Pretty Reckless (Tuesday), GRAMMY Award-winning duo La Roux (Wednesday), M.I.A. protege Rye Rye (Thursday) and the genre-slaying Jared Evan on Friday. Can't wait to finally share all of the interviews with you! Watch, share and give it your thumbs up if you like. CherrytreeRecords.com has invited music blogger Arjan Writes to join its buzzing community of pop enthusiasts for a very exciting new collaboration. Arjan and Cherrytree will be launching a new program called "Cherrytree Pop Chop with Arjan:" a new series of face-to-face video interviews hosted by Arjan and featured on CherrytreeRecords.com. Arjan will be choppin' it up with both Cherrytree Records and non-Cherrytree Records recording artists in an intimate fashion about their art and process of working. In addition, Arjan will be hosting special Cherrytree TV features as a roving reporter at concerts and musical events. 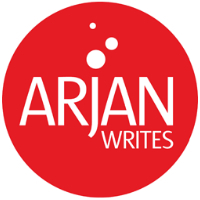 Arjan Writes, who was the first blogger to be officially recognized by NARAS & GRAMMY.com, hosts one of the most popular pop blog sites on the internet in ArjanWrites.com which has been tipping off its readers about exciting new pop music since 2002. CherrytreeRecords.com is a broad pop alternative Web destination and home to original and exclusive programming from maverick artists such as Feist, Sting, La Roux, Far East Movement, Tokio Hotel and Robyn as well as host to the 24/7 radio station CherrytreeRadio.com, Your Pop Alternative. "Cherrytree Pop Chop with Arjan" will provide an inside look at pop alternative music and the talented artists and producers that make it. "Like CherrytreeRecords.com, I share a deep passion for pop alternative music," commented Arjan. "While continuing my independent reporting with an unbiased point of view, the creative partnership with CherrytreeRecords.com will be an innovative way to provide more pop fans with unique online programming to highlight pop alternative music regardless of label and affiliation." Martin Kierszenbaum, founder and Chairman of Cherrytree Records and Chief Editor of CherrytreeRecords.com, added: "As Cherrytree Records is a progressive pop imprint with a top notch roster of creative, boundary-pushing artists, www.CherrytreeRecords.com is an inclusive, pop alternative Web destination and social networking hub for music lovers. Arjan's inclusive reporting in conjunction with our other across-the-board editorial contributions will further our goal to broaden the music coverage on our site for members of our CherrytreeRecords.com community - our "Rec'ers" - as well as music fans the world over. I spent some time at the Atlantic Records headquarters in New York City last week. Good to see all of their great talent prominently featured everywhere around the office, including my faves Bruno Mars and Janelle Monae who were hanging proudly together. Makes me hope that a collaboration will happen one day soon. All You Can Dance Buffet - Saturday Will Be A Hot Mess! On Saturday, I will be spinning a collection of sweet & crunchy tunes at Mary's "all you can dance" Hot Mess party in Atlanta. Will be a blast! If you're around, come on by and dance some. Good times, good people, superfraiche pop. Somebody pinch me! I must be dreaming. This is so incredibly amazing. I almost have no words to describe how I feel. The December issue of OUT Magazine hit newsstands today and features the publication's coveted OUT 100 List, the publication's annual list of the year's most influential gay and lesbian newsmakers and tastemakers. I'm truly honored and grateful for this acknowledgment. It feels very special to be awarded for something that I love doing every day - sharing great new music - whether that is on this blog, through the Superfraiche live events, television or my upcoming new radio show. I simply do what I'm passionate about and to get honored for that in such a big way feels amazing. Thank you very much to the entire OUT editorial team. Thank you also to Jason Bell for that fun photoshoot in Harlem (you made me look good!). And of course, thank you to all the readers of ArjanWrites.com for coming back here every day and inspiring me to share and write. It means the world to me.